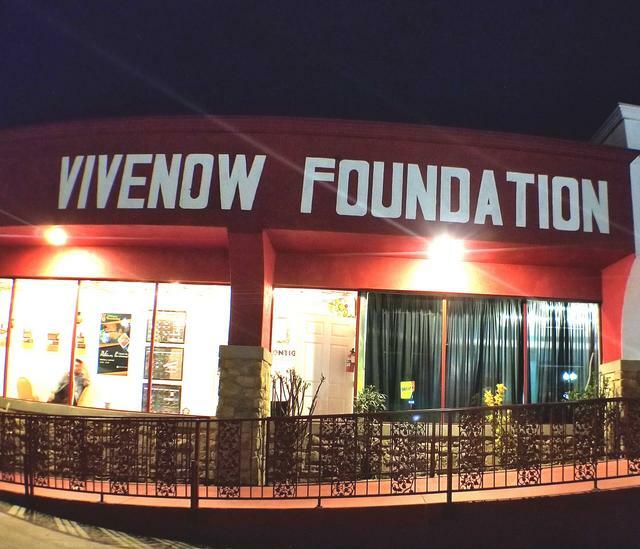 Column: LA La Land – Crisia at the VIVENow Foundation Reviewed by Patrick O’Heffernan on March 21, 2019 . Crisia Regalado, the co-founder and lead singer of one of my favorite fast-rising bands, Sin Color, decided to experiment with a solo performance that adds new dimensions to the cumbia/rock/opera-laced music that makes Sin Color so beloved in LA, and I think, on the cusp of love far beyond LA. Many of the Sin Color concerts and release parties are filled with families and pre-teen and teenaged Latinas who love the band’s music, adore her as an artist and dream about emulating her when they get their turn at the mic. I did not see the Giant Tamale as I drove down East Whittier Blvd. looking for the venue, the VIVE Now Foundation. VIVE Now is a volunteer organization that offers life coaching to people of all ages, especially in the Latino Community. It had offered its meeting hall for Crisia’s solo concert, making room for a large audience, adorning the stage wall with embroidered drapes, stringing sparkling lights, and bringing in sound equipment and a piano. While the venue was one of the more unusual ones I have been to, the effect was magic and fit the performance perfectly. 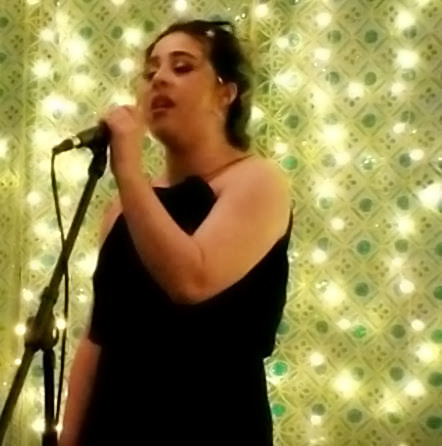 Crisia’s solo experiment was not so much with new dimensions to her ongoing performing as with aspects that have been there all along: opera, jazz standards and Mexican folk/romantic ballads. The music of Sin Color is built around her skill as a vocalist with a soprano range, impressive chops on the keyboard, and good solid rock and cumbia sense. 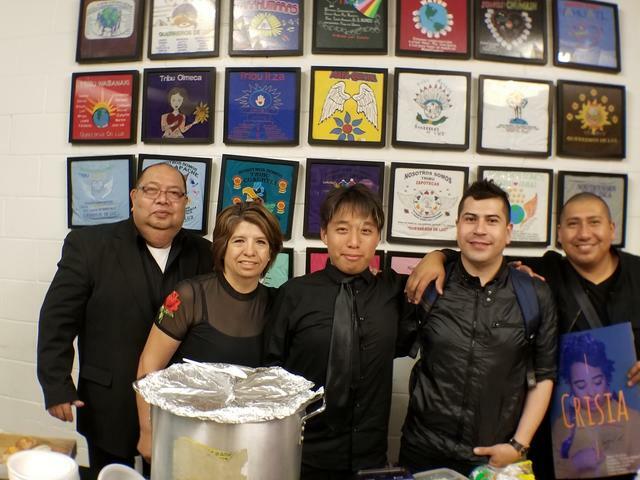 Of all of the up and coming Latino-fusion bands in LA, Sin Color is a standout because of the strong collaboration between her soprano power and the band’s precision and danceable rhythms. For the solo concert she delivered each aspect of her vocal array separately – opera, jazz, folk. Crisia lifted the spell as she moved into American standards. The high range of her voice did not map comfortably to songs like the 1936 stage tune “It’s Delovely” and Patsy Cline’s 1961 “Crazy”. Crisia’s delivery was professional, but never quite achieved the bell-like notes and warmth of her opera or her popular music. She performed the songs, rather than inhabited them the way she does with Sin Color’s music. Although the solo renditions were enjoyable, I would love to hear her incorporate these standards into the band’s repertory so she can deliver them with full orchestration and really let loose. A 20 min intermission gave Crisia time to change costume and the audience time to sample the pozole and conches and cookies and cupcakes and drinks served by Foundation volunteers before we filtered back into the twinkling hall. Crisia reappeared in a traditional brightly-flowered Chiapas-style Mexican dress and she did let loose, treating us to a half dozen songs of love and loss – boleros, balladas romanticas and recuerdos. Here her voice was brilliant, sailing and swooping, rolling out waves of emotion, and pulling back to sparkle with humor.